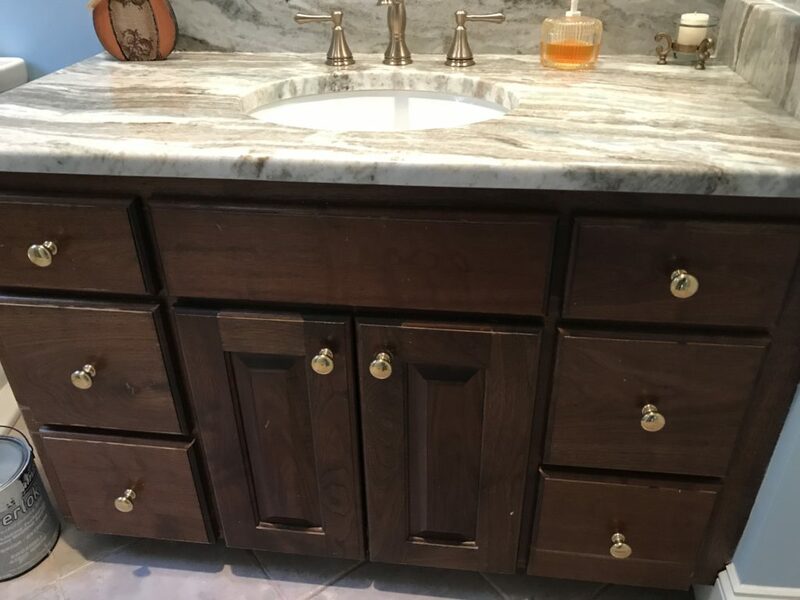 This bathroom is on the dark side, and the dark wood cabinet was only helping it to feel dated as well. 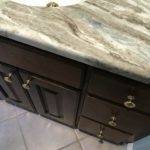 Dark and dated – 2 things that no one ever wants to hear in their bathroom. 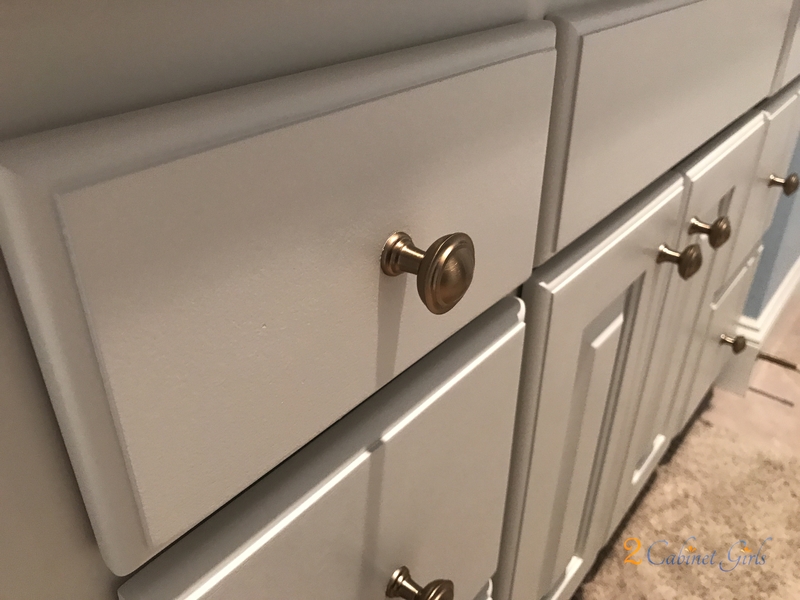 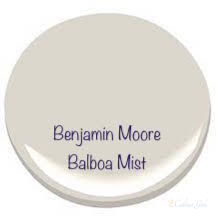 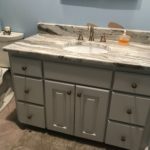 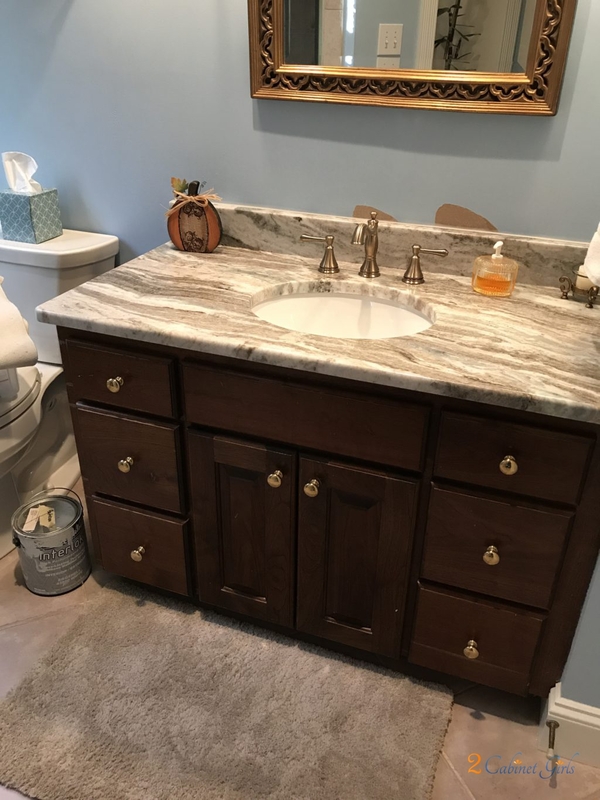 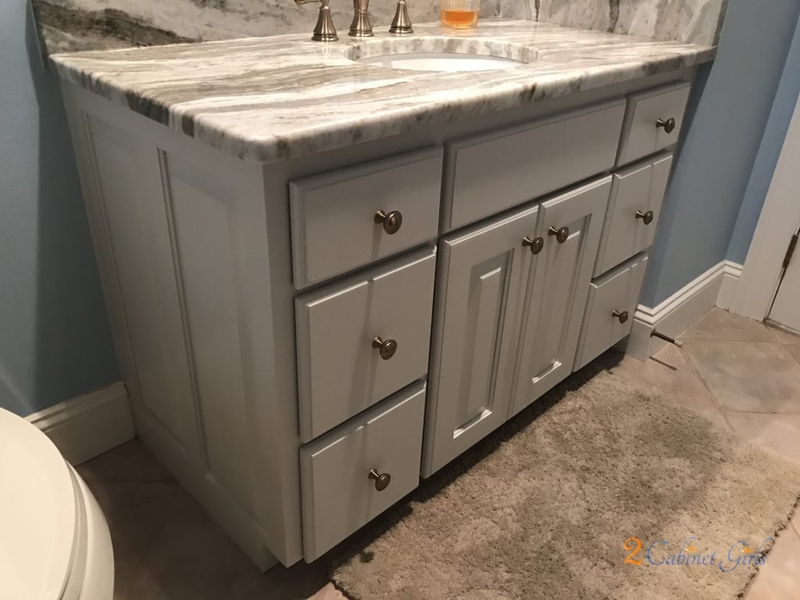 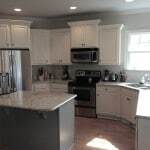 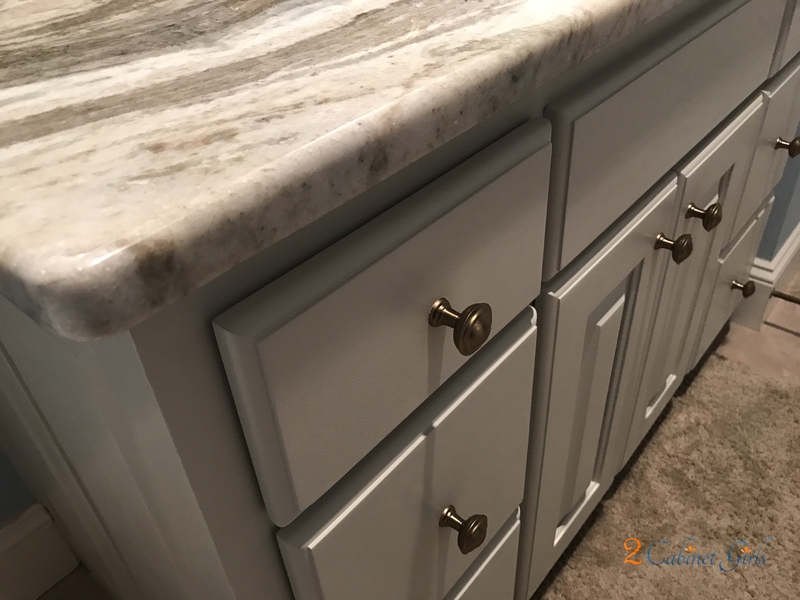 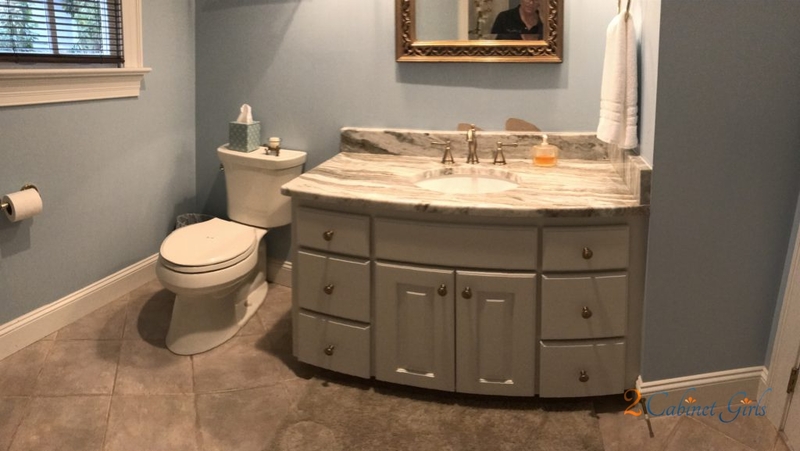 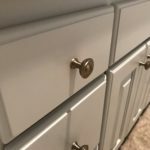 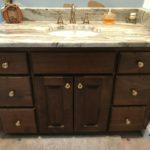 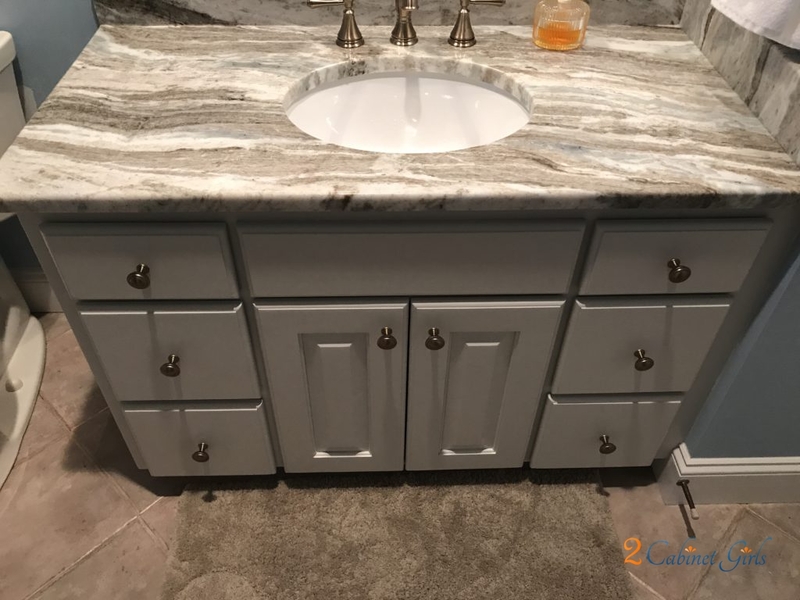 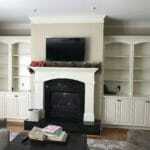 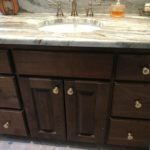 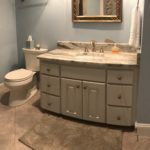 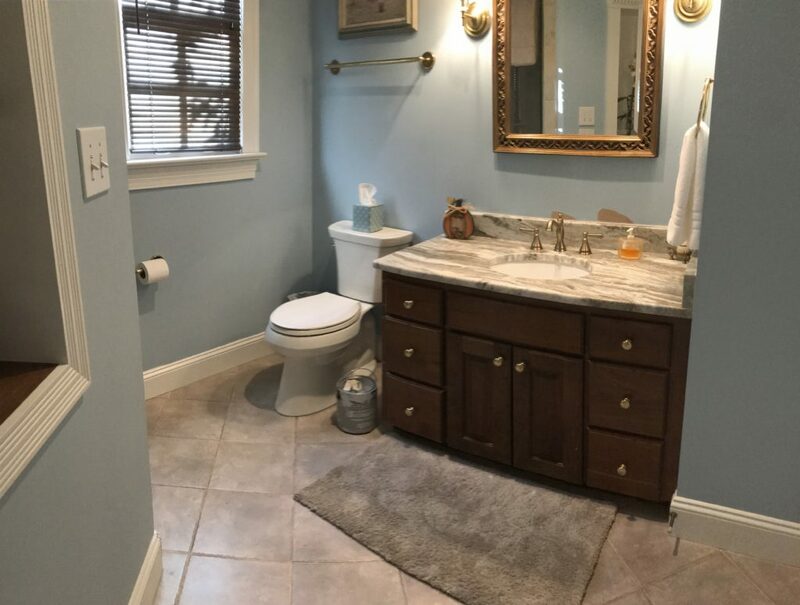 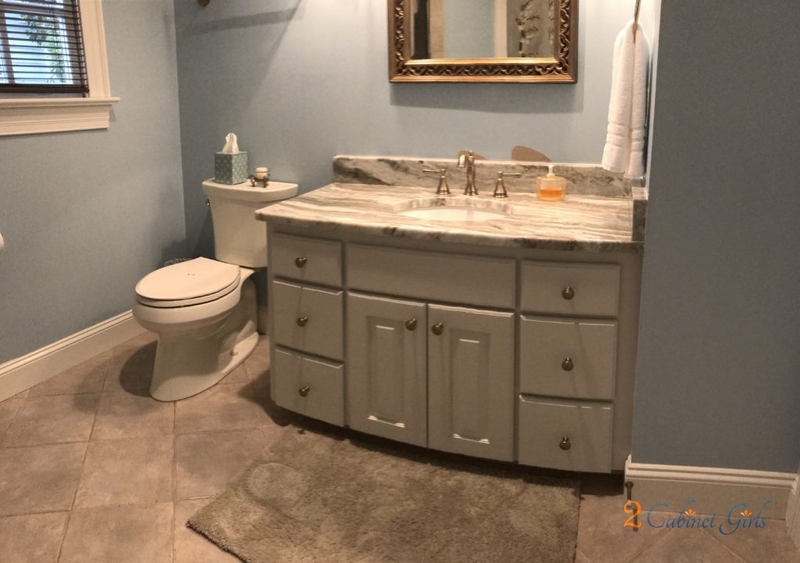 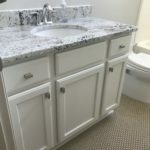 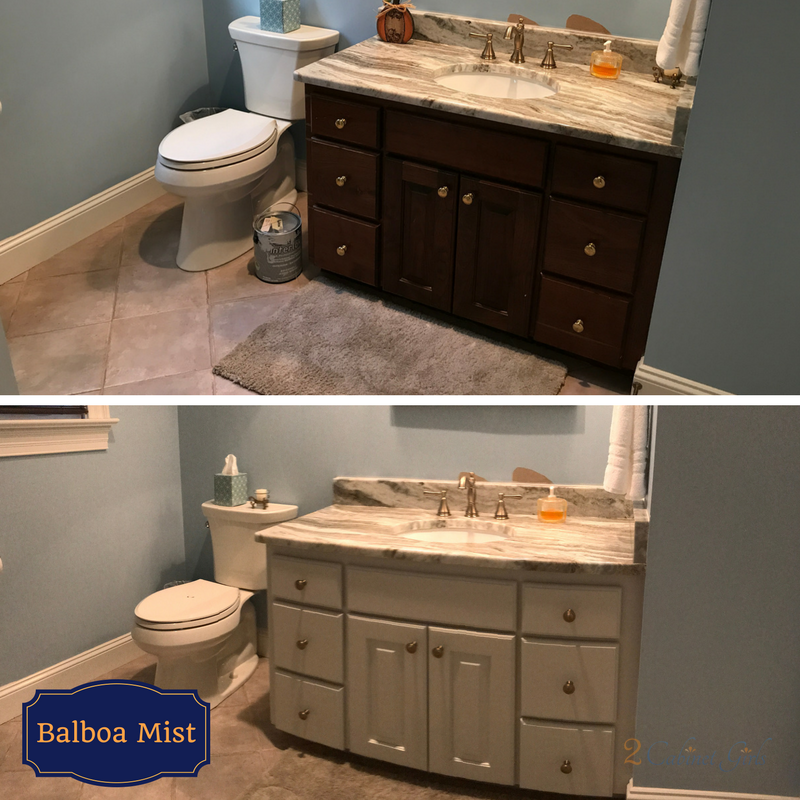 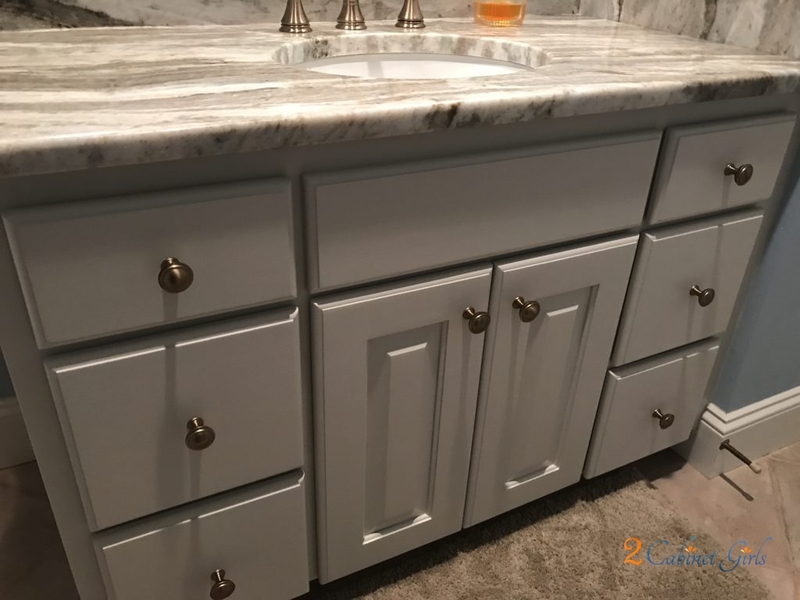 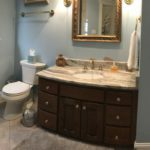 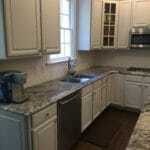 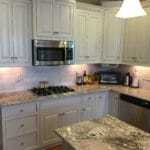 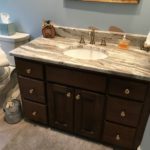 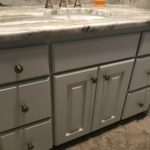 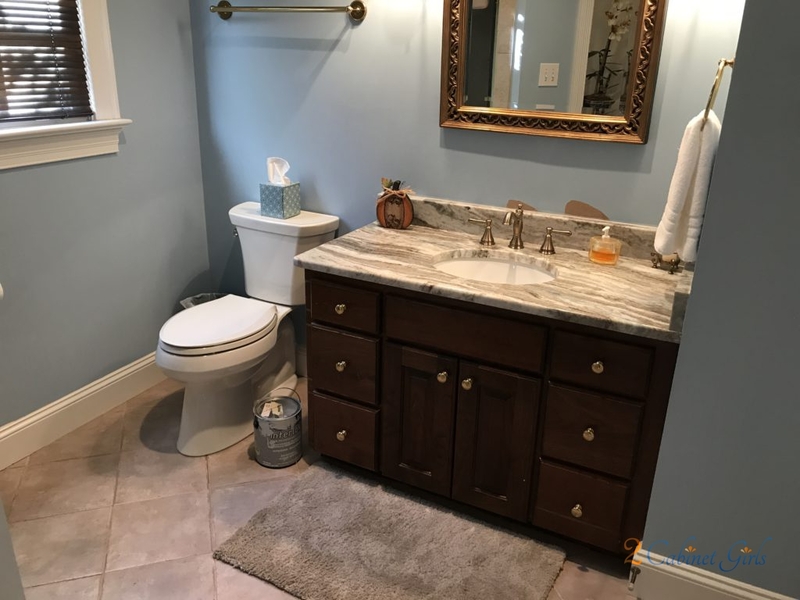 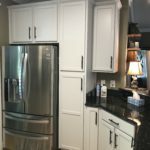 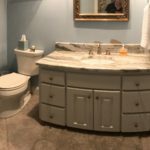 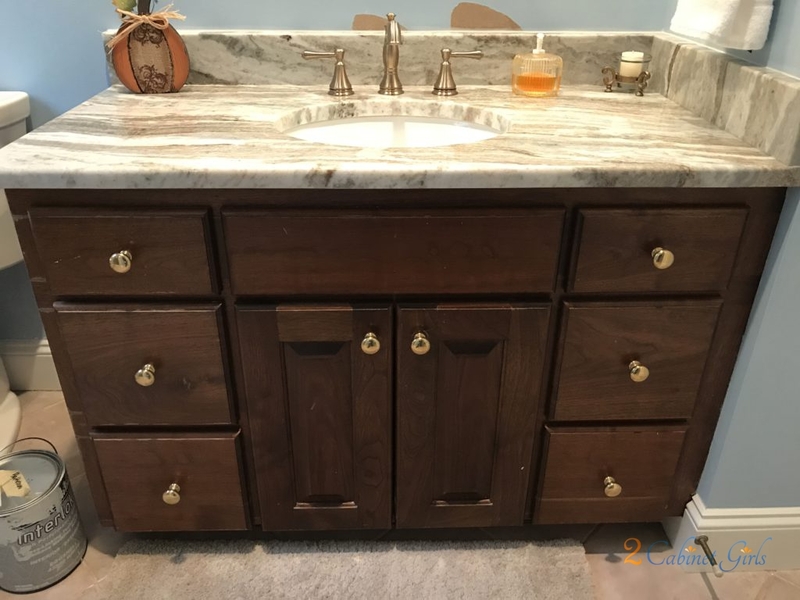 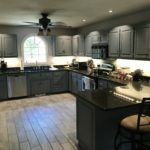 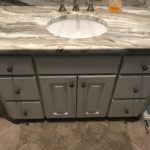 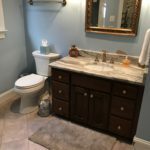 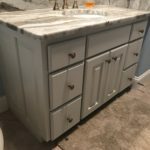 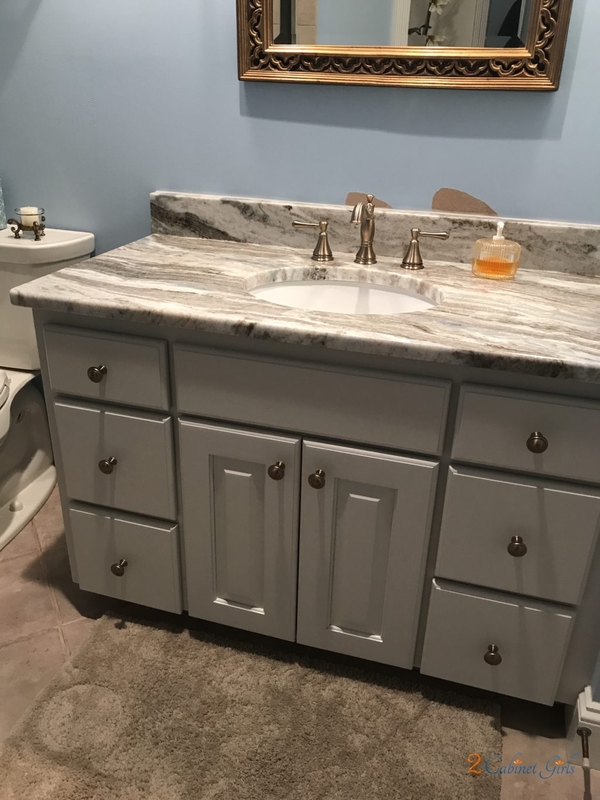 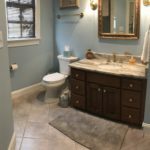 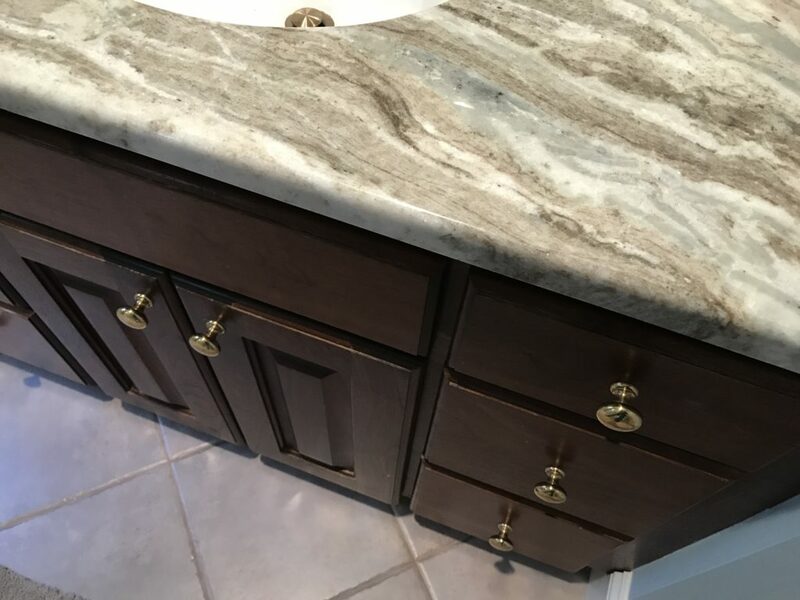 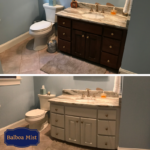 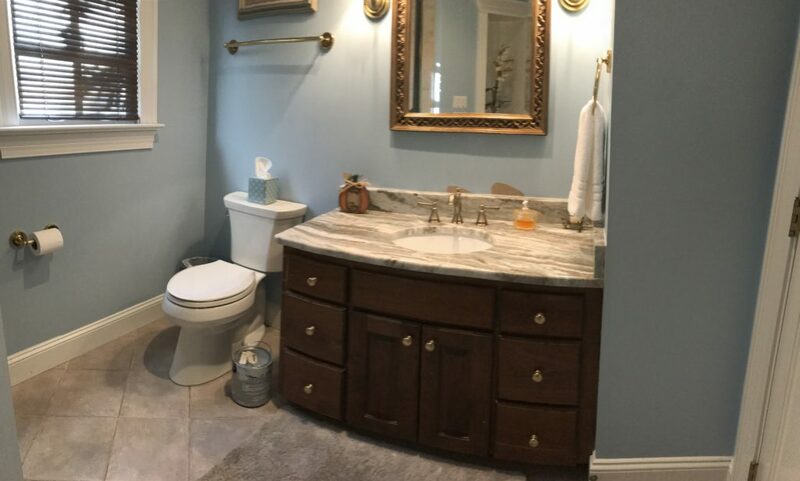 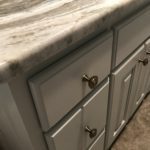 So we used Benjamin Moore Balboa Mist to freshen up the vanity and inject some new life into the room.